Uw sleutels blijven tijdens uw vertrek bij de parkeerplaats. 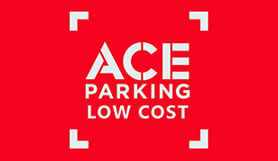 Close to the airport, among the lowest prices in the market and a shuttle service to and from the airport included in the price are the reasons why customers choose to park at Ace Parking Charleroi. Please note you have to leave your car keys at the car park. If you require special assistance, please contact the car park to discuss further. Please ensure that you print and bring along your booking confirmation. Please note that the shuttle is not available between 00H00 and 04H00 am. However, in case of flight delays, the car park will remain open and the shuttle bus service will be at disposal. During the holidays the car park recommends that groups as of 5 persons first head to the airport and drop their fellow passengers there, and drive afterwards to the car park. This will enable a more fluid traffic of the shuttle buses. Simply drive up to the barrier and hand in your booking confirmation to the member of staff. A shuttle bus will transport you to the airport entrance. Once you have collected your luggage, simply call the number provided in your booking confirmation. A shuttle bus will collect you about 15 minutes later and will take you back to your car for your onward journey.